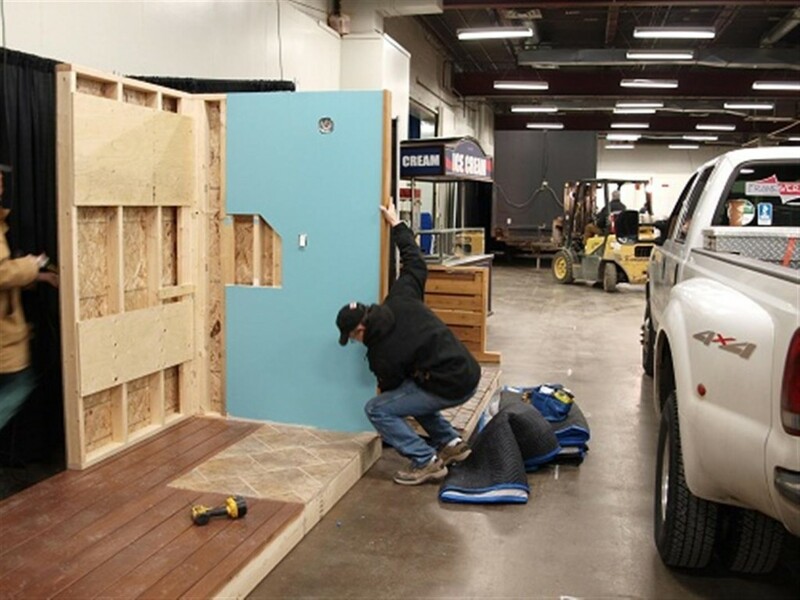 Today was the big moving in day for the 2012 London Lifestyle Home Show. The Framewerks team has been working hard on creating an amazing display in our workshop that is sure to be a crowd stopper at the show. It was “all hands on deck” today during setup at the Western Fair grounds. There is something for everyone at this show and we hope to see you there. So stop by the Framewerks display, booth 9 in the Progress Building. We look forward to talking to you. Below are some setup pictures…but if you want to see the finished product, you’ll just have to come see us at the show. See you there!